Authorities released an image of Ahmad Rahami's blood-stained journal, a bullet hole piercing the small booklet that was found in the alleged bomber's possession when he was captured after a shootout in New Jersey. The right side of the notebook is filled with blue writing; law enforcement officials previously said the journal included praise for American al-Qaida cleric Anwar al-Awlaki and "jihadist-type" language. Rahami also referenced Abu Muhammad al-Adnani, the ISIS propagandist killed in a U.S. airstrike. In the handwritten journal, Rahami warned bombs would resound in the streets and prayed he'd be martyred rather than caught. 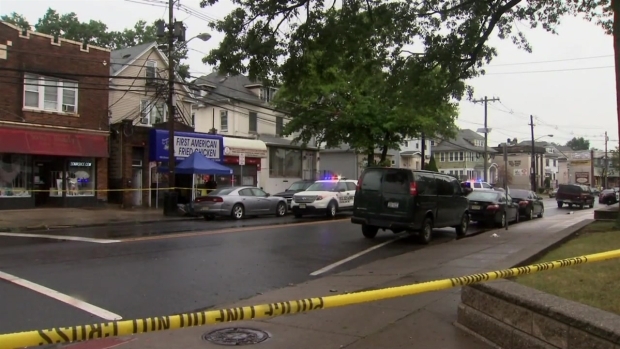 He remains hospitalized in New Jersey after being shot 10 times in Monday's shootout. Federal charges, including using a weapon of mass destruction and bombing public places, were filed against Rahami Tuesday. A public defender representing Rahami in New Jersey, where he faces charges of attempted murder of a law enforcement officer in the Linden shootout, wanted him in court on the federal charges Wednesday, but authorities said he could not be arraigned on those charges until he was in federal custody. U.S. Attorney Loretta Lynch said the Justice Department planned to transport the 28-year-old naturalized citizen from Afghanistan to the city to face charges in the "near future."